The Artists Quarter has long been home to instrumental jazz. Vocalists? Not so much. Owner Kenny Horst has presented vocalists, including out-of-town guests Diane Witherspoon, Tessa Souter, Teri Roiger, Judi Silvano, and Kendra Shank. 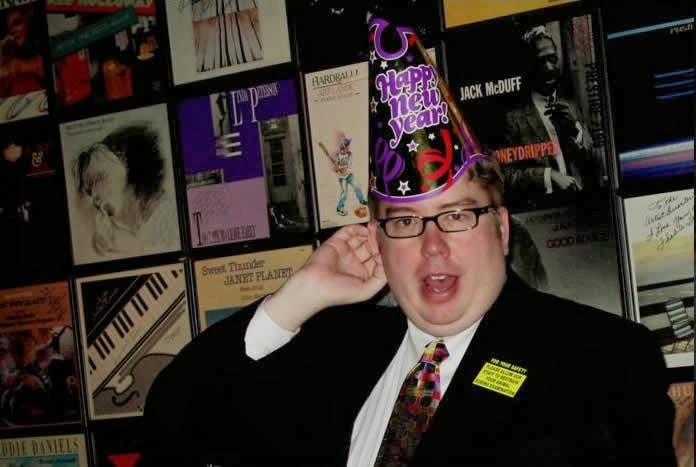 Local singers who have managed to get a gig now and then have included Lucia Newell, Vicky Mountain, Connie Evingson, Charmin Michelle, Nicola Miller, Patty Peterson, Maud Hixson, Bruce Henry, Maurice Jacox, the Phil Mattson Singers, and -- especially on New Year's Eve--Kenny's mother-in-law, Carole Martin. 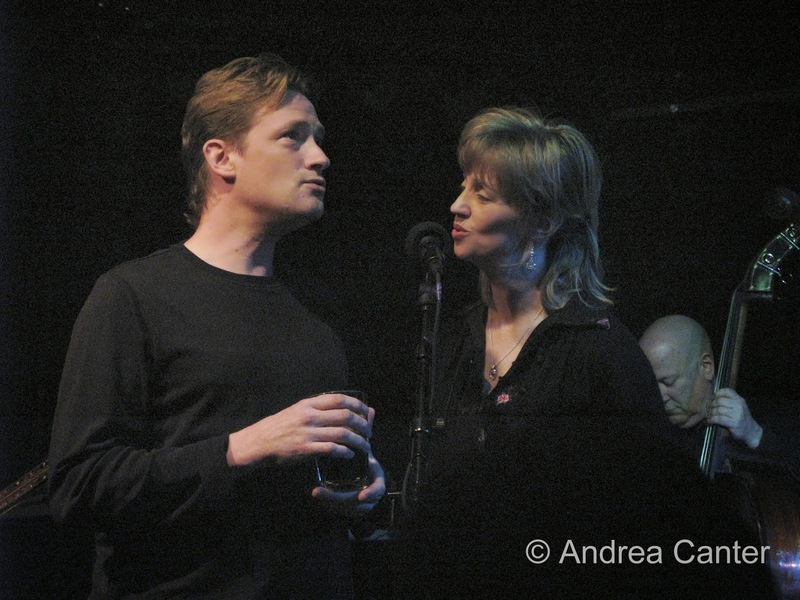 The fact that Debbie Duncan has appeared on a number of weekends throughout the years is a tribute to Debbie's popularity as well as Kenny's (accurate) perception that she is a true jazz singer. 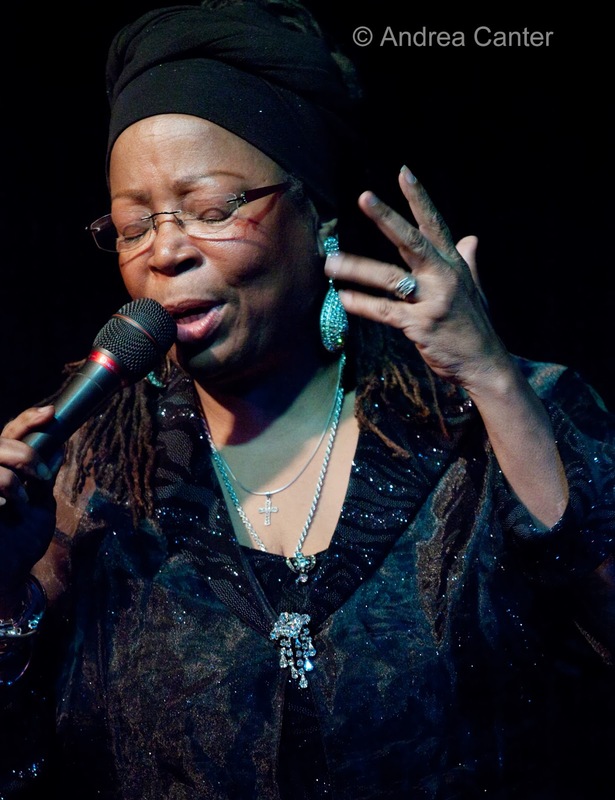 Of course Debbie sings with plenty of blues and soul, scats as if it is her first language, and is simply an engaging entertainer, whether singing a ballad or wise-cracking with the band or audience. Debbie carries some of her native Memphis blues and adopted hometown Detroit grit into every song. Leigh Kamman once noted that "Debbie is a master messenger deserving wider recognition." And she still reigns high among the master messengers of the Artists Quarter. 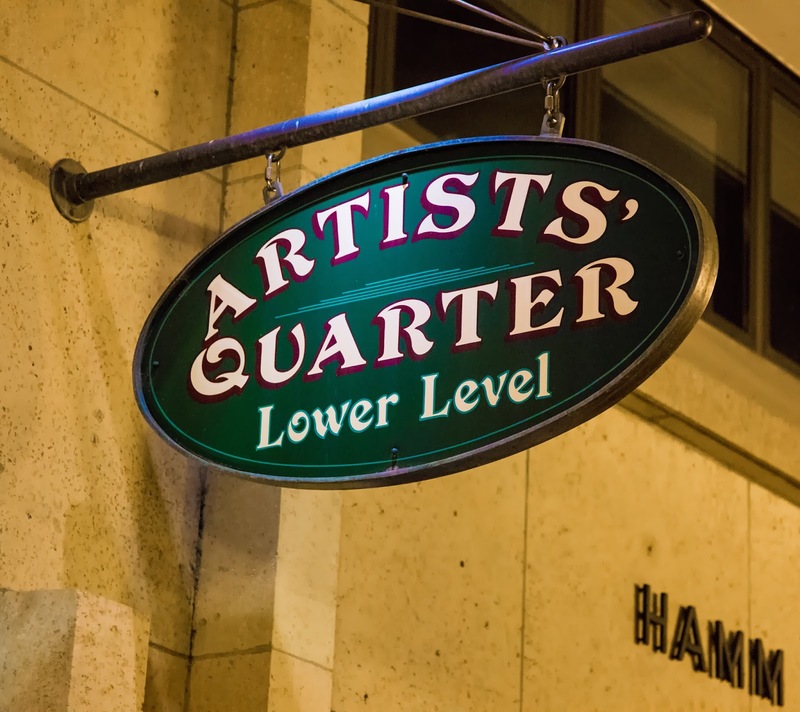 From its first days on Nicollet through its (apparently) last days in the Hamm Building, the Artists Quarter has been an incubator of jazz talents. 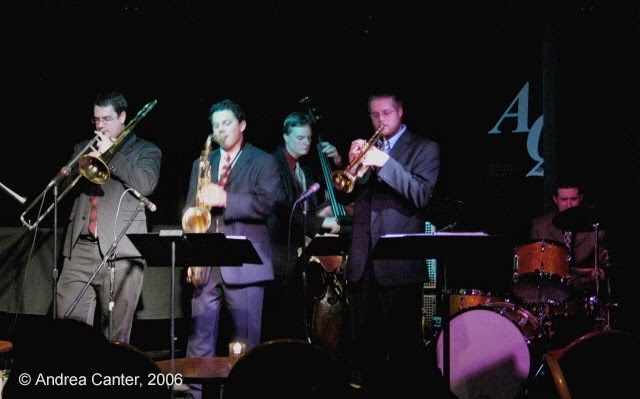 Not only have many young musicians played their first pro gigs at the AQ, but, at an earlier point in their development, many aspiring artists first heard live jazz at the AQ. 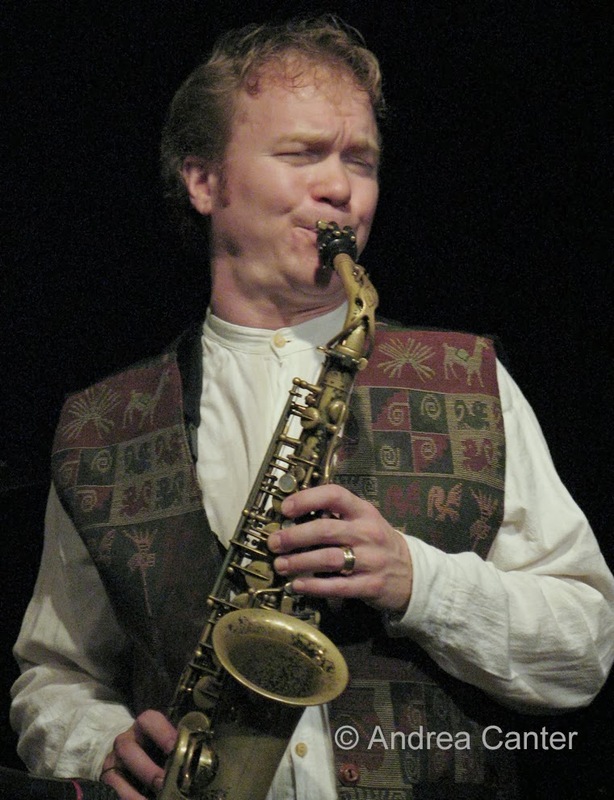 Saxophonist Pat Mallinger was one of those young teens finding inspiration at the AQ -- first as a junior high schooler hearing Richie Cole on Nicollet. Even as young pro, Pat recalls hearing old high school pal Bill Carrothers at the AQ on Jackson Street. 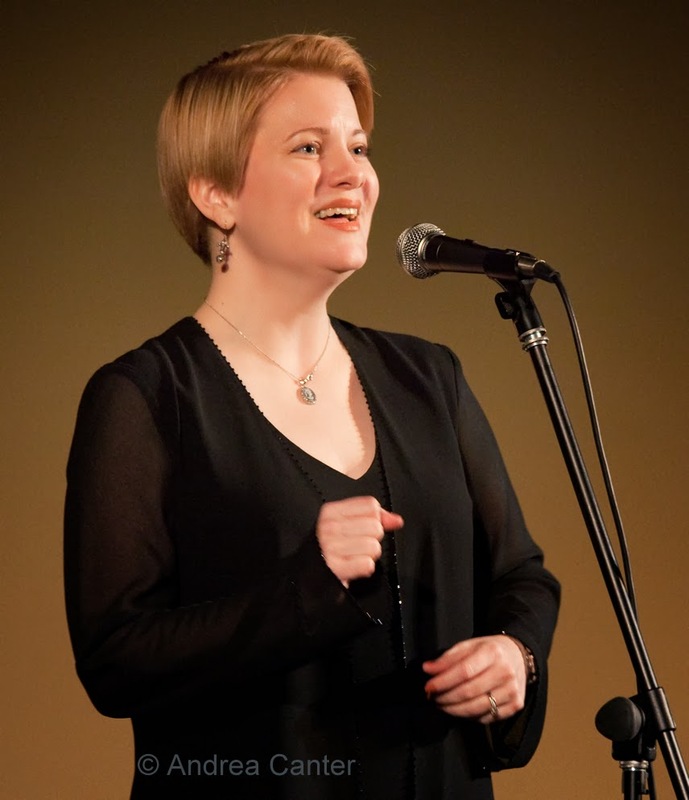 And now, a seasoned pro based in Chicago, Pat has enjoyed collaborations with Bill, including recent quartet dates at the AQ. Pat still has family in the Twin Cities, and holidays home often mean a weekend at the AQ, including New Year's Eve in 2012 and Thanksgiving weekend in 2013. His most recent CD was titled Home on Richmond, referring to his Chicago home base. But his gigs could be dubbed Home at the AQ, because whenever he plays here, it feels like home, not just to Pat, but to those of us in the audience who eagerly await every "homecoming." Pat makes all of his saxes--tenor, alto, soprano--sing, sometimes with the force of an orchestra, sometimes with the delicacy of vocalist, and always with the strength and honesty of his musical convictions, providing inspiration to the fledgling talents that have been part of the AQ's audience on any given night. 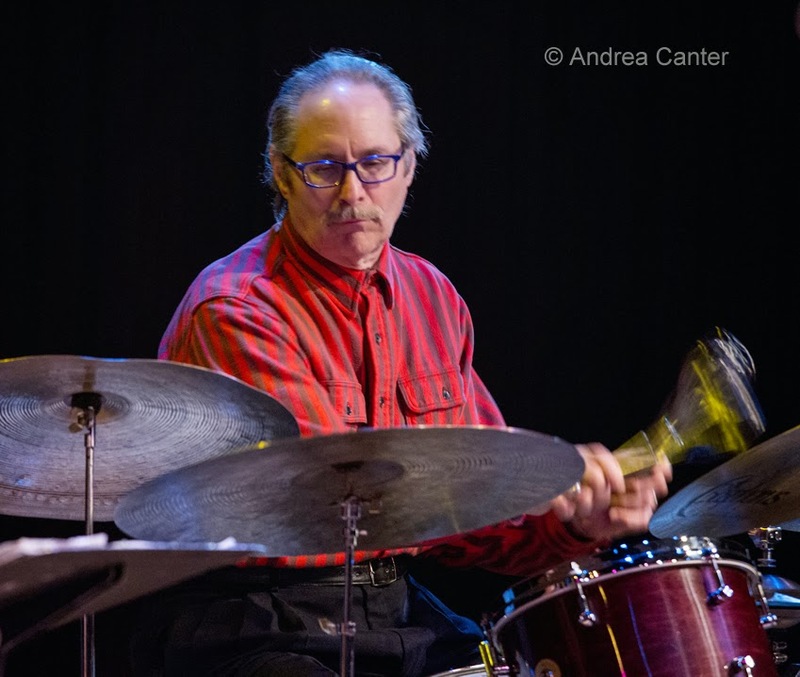 Twin Cities native Bill Carrothers was a mere 15 when he showed up for his first gig at the Artists Quarter, subbing for pianist Mikkel Romstad in Eddie Berger's band. The AQ was still in its first incarnation on Nicollet Av, but over the years, Carrothers has played each of the three venues while building an international reputation from what became his home base in rural Michigan. In between European tours and recording sessions, he finds time to come back to Minnesota to visit family and play (a few times each year) at the Artists Quarter. 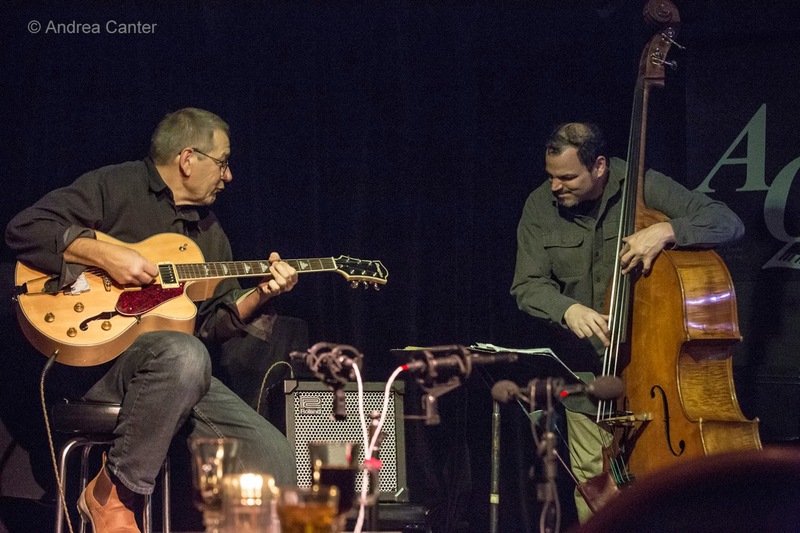 Typically it's a trio with bassist Billy Peterson and drummer/owner Kenny Horst, once known as the After Hours Trio. But Bill has also brought to the AQ stage his "European" Trio and assembled a larger group to perform his Armistice 1918; he's also performed/recorded with Peterson and Dave King in the Dave King Trio, with Anthony Cox and Jay Epstein as Good Company, and with former high school buddy, saxophonist Pat Mallinger, with whom he has also gigged at Chicago's Green Mill. Carrothers list of honors is as long as his discography. 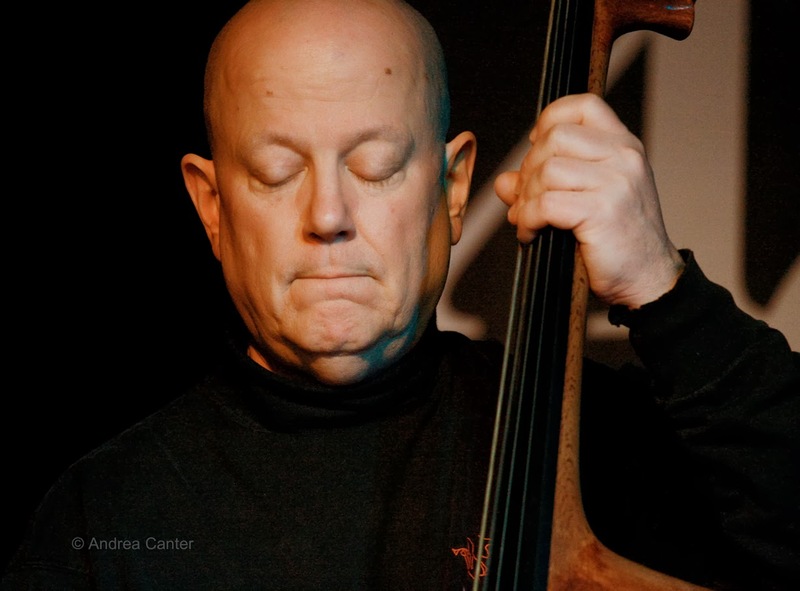 He's one of the most inventive improvisers on the modern jazz scene, and has a quirky sense of humor that finds its way into the music. Snippets of classical scores, TV soundtracks, bebop covers and even the Oscar Mayer theme song have been known to crop up in the midst of a piano solo, with such sleight of hand that it all seems perfectly natural. Perfectly natural - Bill Carrothers and the Artists Quarter. Even if you only consider the bands he brings into the Artists Quarter, it's hard to keep track of Dave King and his ensembles. 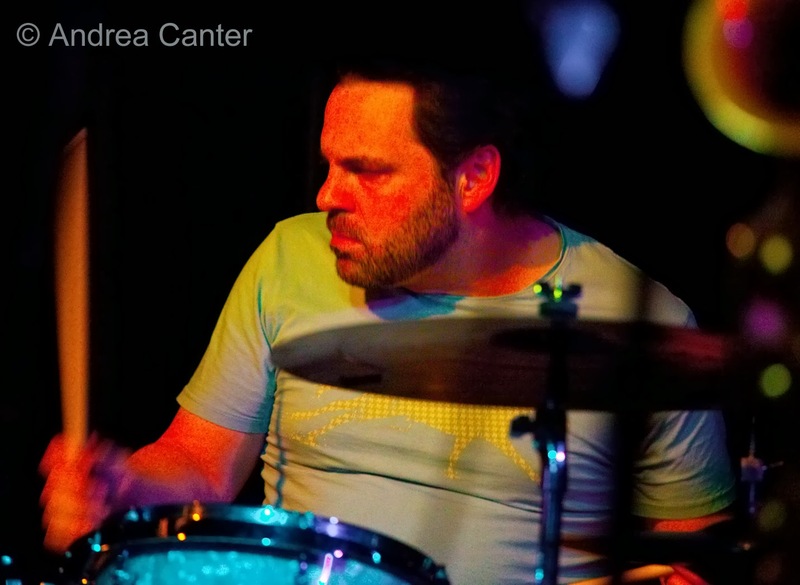 A regular face since the mid-90s, Dave has been instrumental (pun intended) in birthing some of the area's most exciting bands, and the AQ has served as the delivery room. 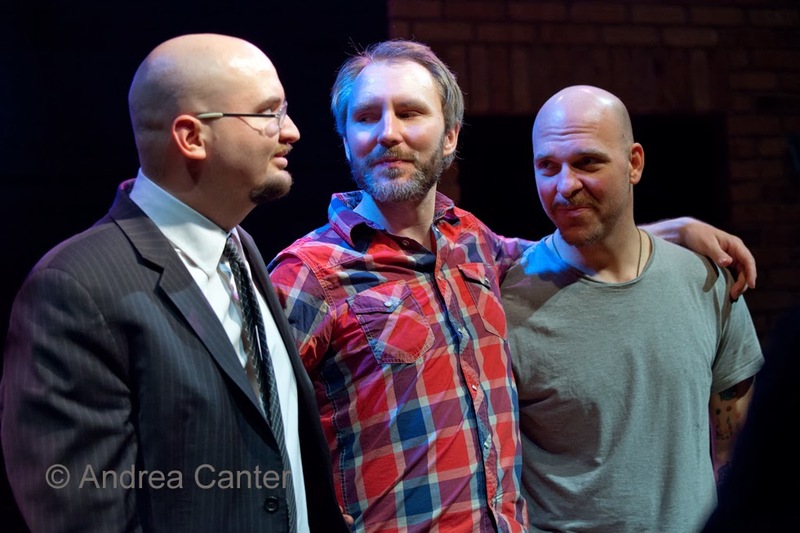 No, the Bad Plus did not begin at the Dakota, where they have played an annual holiday gig for many years - the world renowned trio (with King, Ethan Iverson and Reid Anderson) first performed at the Artists Quarter in 2000. Happy Apple (King, Mike Lewis, Erik Fratzke) found its audience in 1996 "when Kenny Horst took a chance on some young attitude-laden doofs named Happy Apple and gave us the holy grail at the time – a Wednesday night at the AQ!!!" as King related in his commentary for Bebopified. 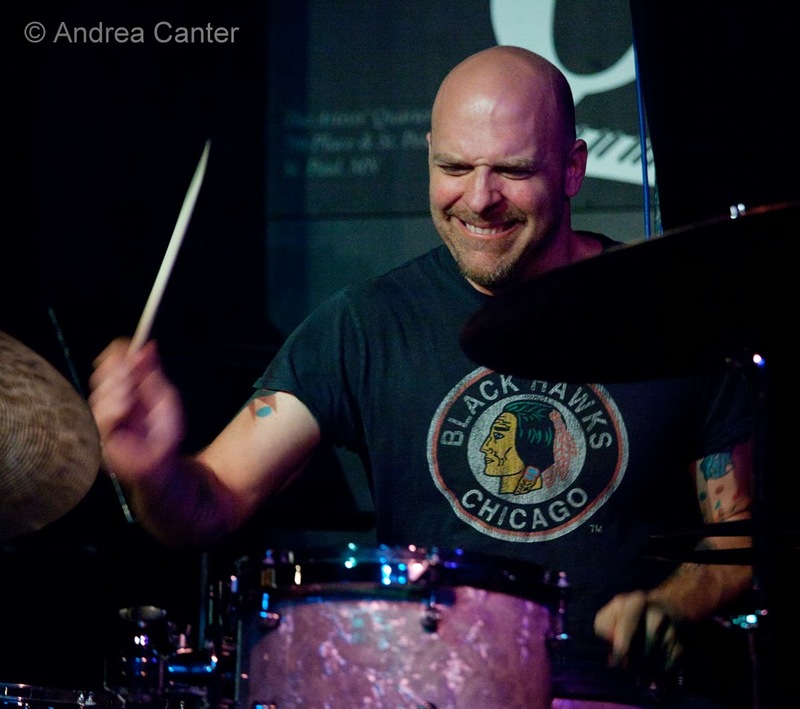 The Bad Plus and Happy Apple might be Dave's highest profile (and longest-running) gigs, but there's lots more. On hiatus now, another AQ-spawned trio, dubbed FKG after its members (Scott Fultz, Dave King, Dean Granros), garned a faithful following over the past decade-plus; the rising star ensemble Dave King Trucking Company debuted at the Walker Art Center about four years ago but has performed steadily at the AQ ever since with King, Fratzke, Brandon Wozniak and Adam Linz on local gigs (adding New Yorker Chris Speed on tour and recordings). More recently, Dave pulled together pals Bill Carrothers and Billy Peterson for a sublime recording session focusing on - aaagh! - standards! The Dave King Trio hit the AQ over the past year. And each time Dave is on stage, it's not just a music performance - it's a stand-up comedy act, Dave's often stream-of-conscious commentary filling (sometimes large) spaces between tunes and leaving most of us scratching our heads between laughs. The AQ version of Saturday Night Live. 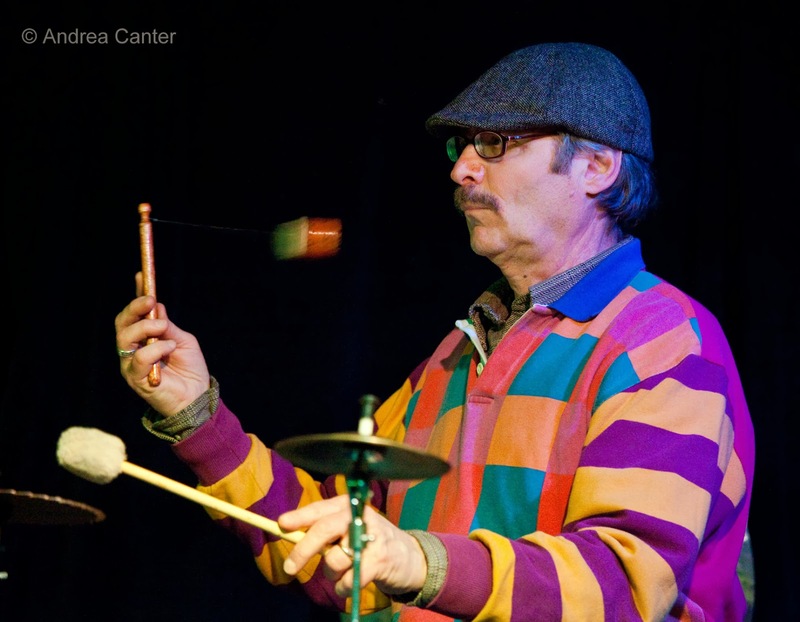 "Dave King has no boundaries in either the percussive elements he uses (including toddler toys) or the gymnastics with which he assembles and dismantles those elements in creating an endless palette of sound. His cymbals are not crash and ride, but crash and burn." A decade later, I wouldn't change a single word. Brothers in jazz, brothers in improvisation, Chris and JT Bates are brothers, period. And over the past 20 years or so, the Artists Quarter has been their primary artistic playground, sometimes together (with the Motion Poets, Kelly Rossum, Bryan Nichols, Zacc Harris, Chris's Red Five) and sometimes separately. Individually they are at the top of the jazz scene-- Chris on bass for a long list of ensembles, including the Atlantis Quartet, Red Planet, Framework, How Birds Work, his Good Vibes Trio, sometimes Adam Meckler Orchestra, Todd Clouser's A Love Electric; JT on drums for Fat Kids Wednesdays, Bryan Nichols Quintet and Trio, Zacc Harris Quartet, Todd Clouser. Red Five, which Chris put together about 2 years ago, was a fresh opportunity for the brothers to work together, and has become one of the most highly regarded of a crop of new bands. The band's CD release was held at the Artists Quarter. It was Bates Night. Any time either Chris or JT hit the stage, it's Bates Night. When they find themelves on the same bandstand... it's Magic Night. Year-end celebrations dominate jazz this week, but one is certainly bittersweet as the Artists Quarter closes out its St. Paul run, at least for now. But the AQ will exit on a chorus of high notes, with a weekend "Jam" of surprise guests and a sold-out New Year's Eve finale. Add in a four-night residency with the Bad Plus at the Dakota, some former Minnesotans in solo sets at Jazz Central, and a list of jazzy New Year's Eve gigs and 2013 will go out like a lion. Friday, December 27. 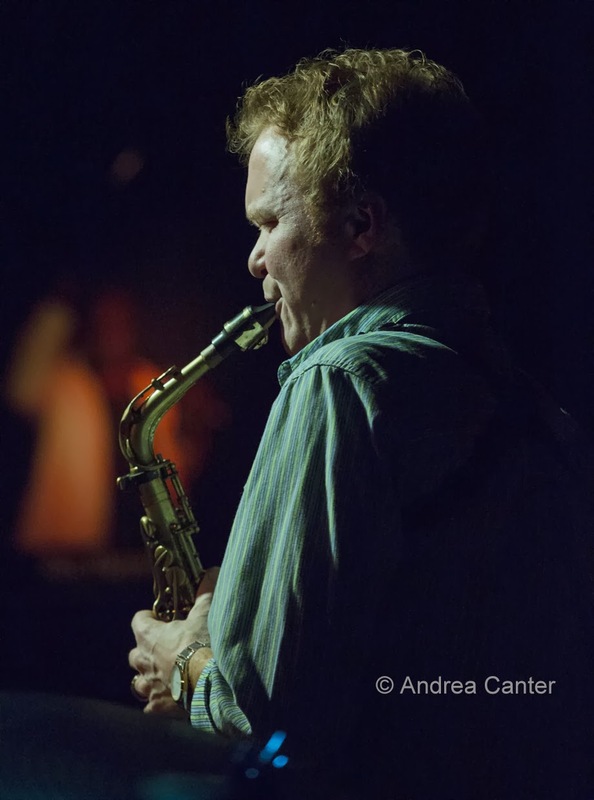 Last Happy Hour of the year with Irv Williams typically joined by pianist Peter Schimke and sometimes another artist; tonight young saxophonist Joshua Jones makes it a multi-generational gig. Stay for an hour and then come down the block to Hell's Kitchen another no-cover gig, tonight with sassy songbird Nichola Miller. 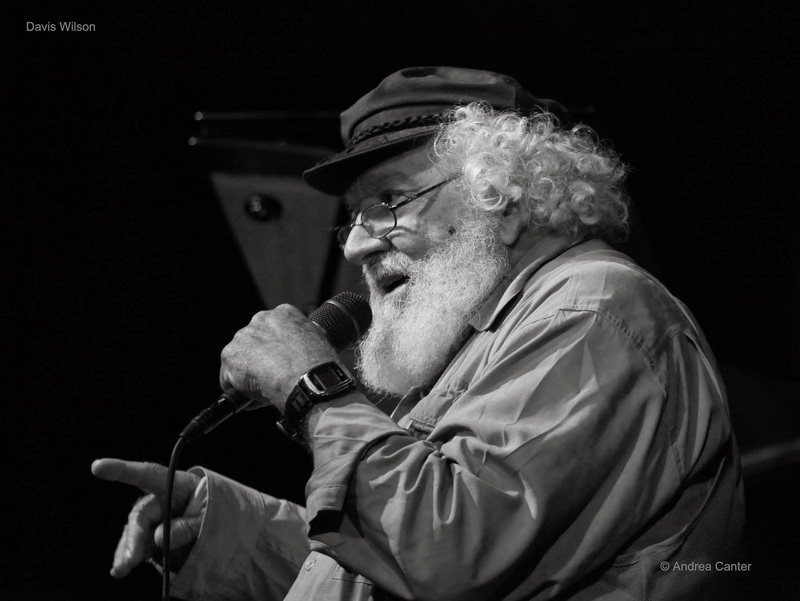 In Bloomington, the vocal night at Parma 8200 presents favorite crooner Arne Fogel. Enjoy with a hot toddy or a flatbread and wine. The Parma lounge and bar provides a relaxing atmosphere, and always a top voice with backing duo or trio. Friday-Sunday, December 27-29. After their Thursday night start, The Bad Plus fill out their schedule at the Dakota, playing two sets each night. Thursday- Saturday is the usual holiday homecoming series of gigs, playing unique arrangements of popular (and sometimes classical) fare and original compositions; Sunday is a special reprise of their 2011 performance of Stravinsky's Rite of Spring. Still honoring Stravinsky's original and controversial score, The Bad Plus also gives it a makeover that would make Igor blush. Adjacent to the Artists Quarter, Park Square Theatre's Words By...Ira Gershwin and the Great American Songwriters puts T. Mychal Rambo, Jennifer Grimm and Ari Hoptman to work on over 2 dozen tunes with Ira's lyrics, backed by the outstanding rhythm team of Chris Olson, Chris Bates, Jay Epstein and music director Joseph Vass. Last chance to see it this weekend... and on Friday and Saturday, the show is over in plenty of time for the latter part of the AQ Jam. Friday-Saturday, December 27-28. The long-awaited long goodbye at the Artists Quarter starts with two nights of gala jamming. Phil Aaron (Friday) and Bryan Nichols (Saturday) lead the rhythm section (which surely includes drummer Kenny Horst) along with a parade of AQ favorites. May the music never end. Saturday, December 28. Yet another homecoming featuring Twin Cities natives who are now based in New York. 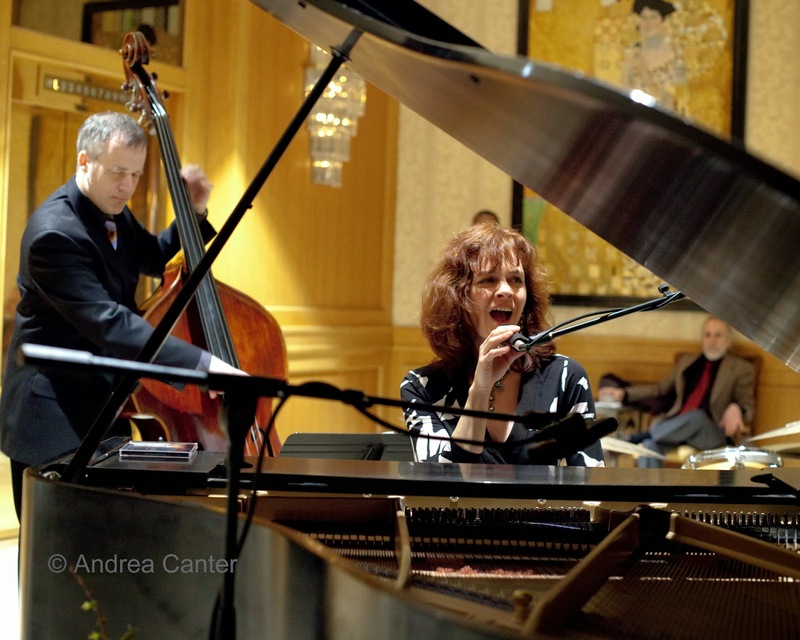 At Jazz Central, this rare Saturday night gig offers exciting solo piano back-to-back. Classically trained, Mary Prescott undertook a year-long improvisation project in 2012, recording an improvised work each day. She's debuting some these pieces in public tonight. 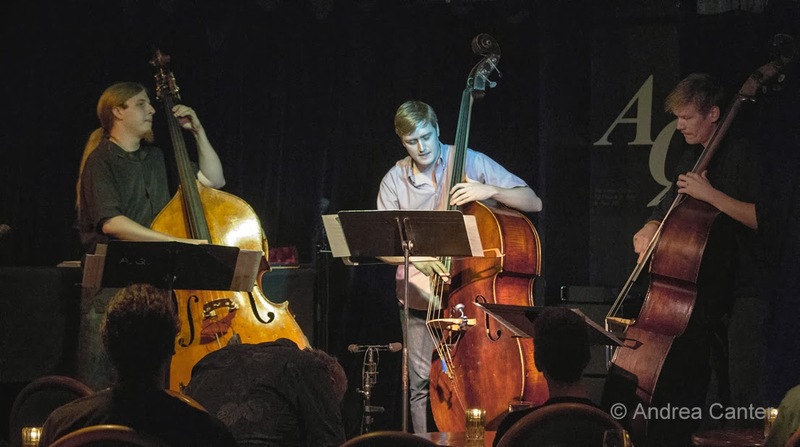 Following Mary is a solo jazz recital by UW-EC grad Jesse Stacken, who has impressed critics and fellow musicians over his decade in the Big Apple, leading his own trio and now recording and touring with saxophonist Tony Malaby among others. Sunday, December 29. 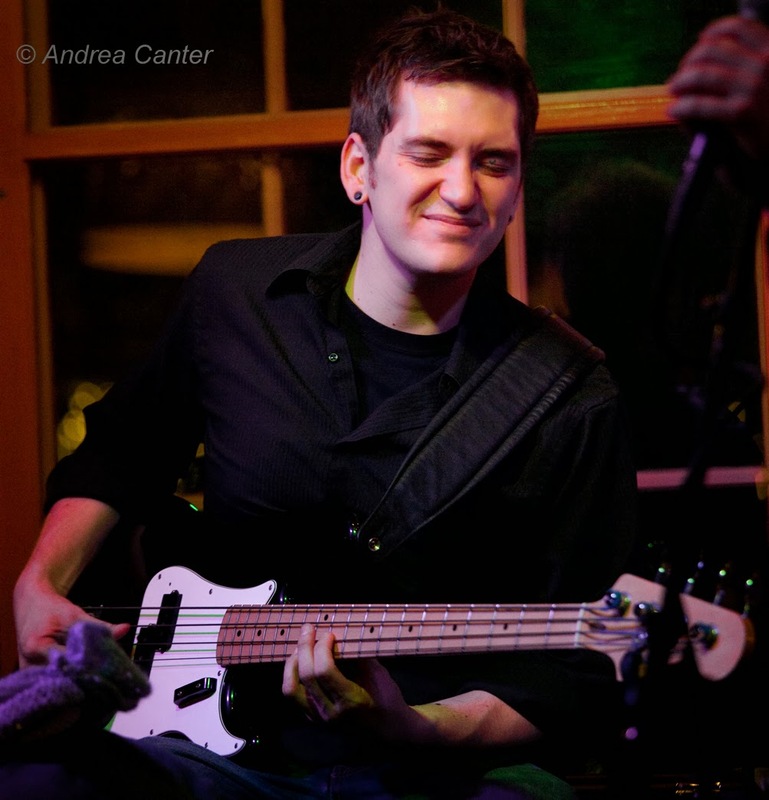 Andrew Foreman's final Off the Cuff for 2013 offers a bass-heavy double header at the Aster Cafe. Start the evening with double bass/double drum (double sibling?) set with Chris Bates and Casey O'Brien on bass matching wits with JT Bates and Graham O'Brien on drums. Second set features two drums again -- Zach Schmidt and Alex Young, joining Foreman on bass, Trent Jacob on guitar and Dan Musselman on keyboards. The focus as always is on improvisation, in the moment, off the cuff. Monday, December 30. Countdown to New Year's with JT's Jazz Implosion, filling the Icehouse tonight with The Mother of Masks (Anthony Cox, Davu Seru, Mankwe Ndosi and more) for the first set, followed by Chris Bates' Red 5 (Chris and JT Bates, Chris Thomson, Brandon Wozniak and Zack Lozier) for the late set. So we're talking 8+ of the most creative artists in town, one stage, one cover. 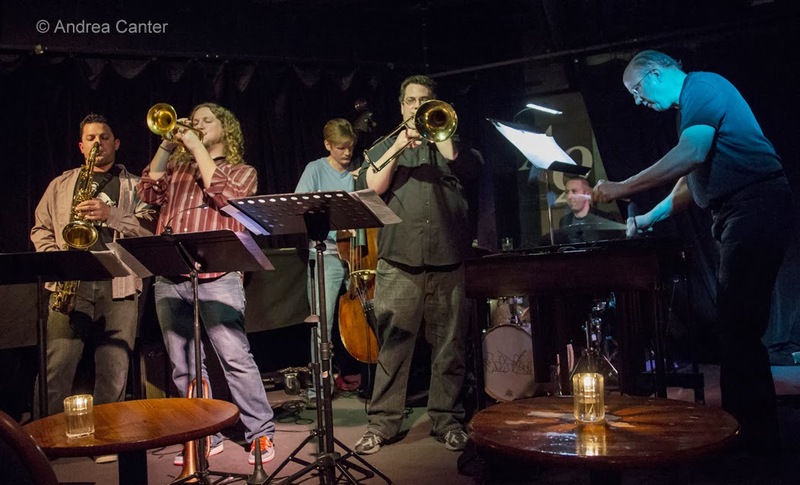 Over at Jazz Central, they're hosting a New Year's Eve Eve Musicians' Hang, with a jam featuring many of Jazz Central's performers and anyone who wants to join in. Tuesday, December 31, New Year's Eve! Every tradition has its end game. 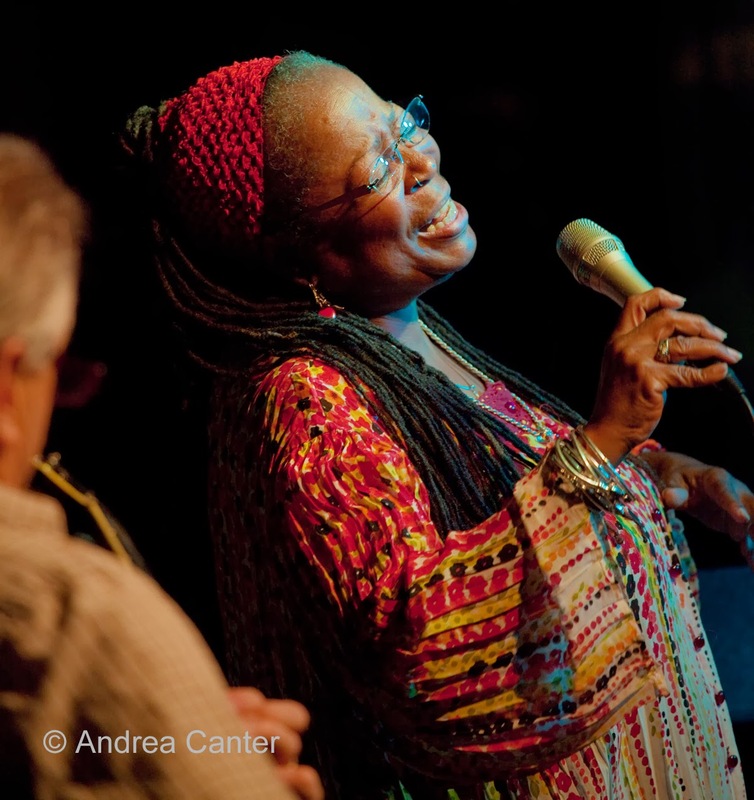 Tonight, Carole Martin and Friends take the stage at the Artists Quarter for the final downbeat. 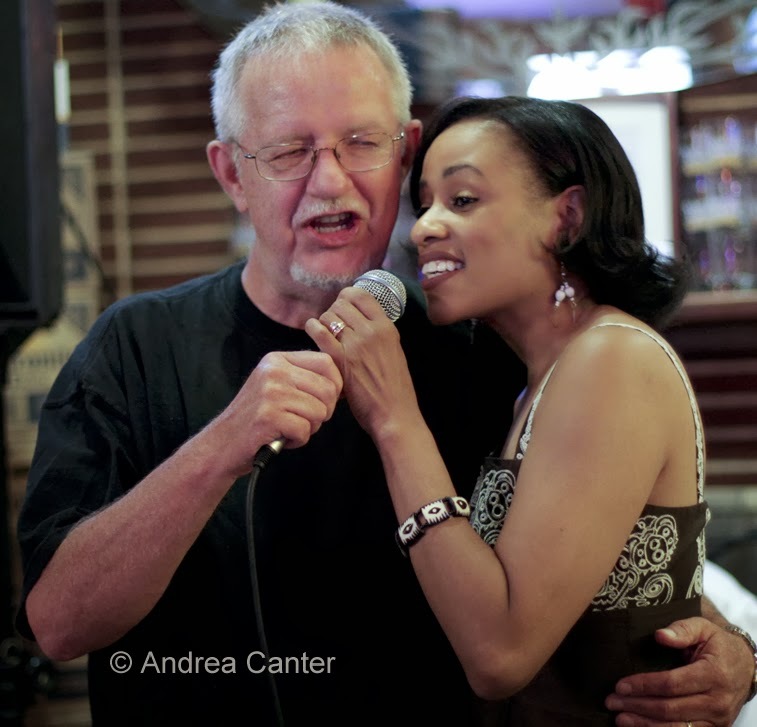 The party is sold out, although perhaps if you come by in the wee hours you will be able to pay your respects to Kenny and Dawn Horst, Davis, Carole, and the AQ crew who have served our jazz community so well, and for so little, for so long. You can be sure the joint will be rockin' til last call. And maybe for a while after that. For a list of jazzy New Year's Eve gigs, see below. Wednesday, January 1. A special night at Fireside Pizza -- welcome the New Year or take a break from the umpteenth bowl game with Charmin Michelle and Denny Malmberg. They guarantee a swinging start to 2014 and some of the area's best flat crust. 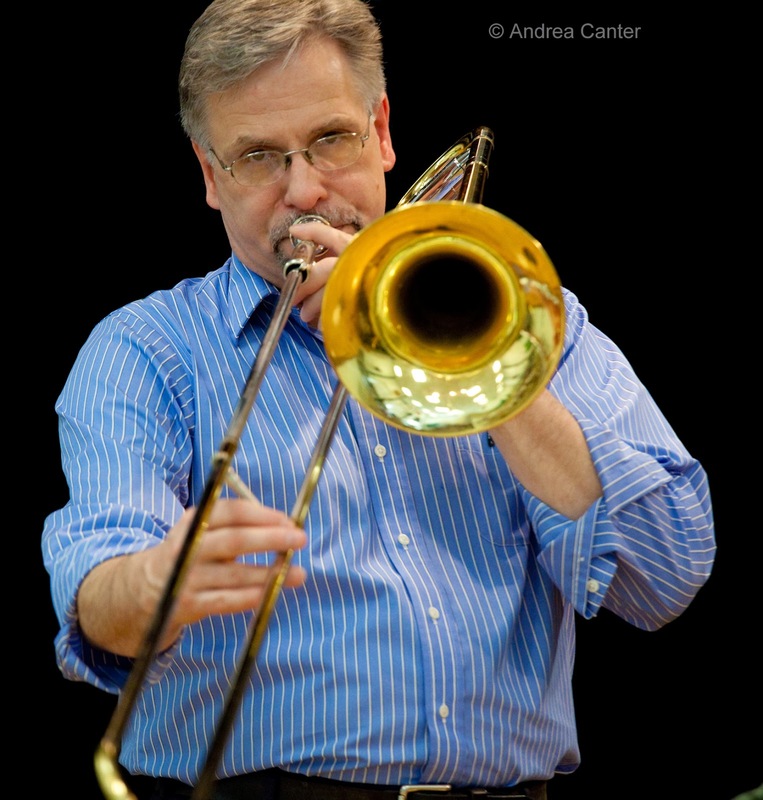 We're accustomed to seeing the trombone in large ensembles, but Dave Graf has helped elevate the brass bone to chamber contexts, most notably with Brad Bellows in the popular quintet, Valve [Brad] Meets Slide [Dave], often on stage at the Artists Quarter. 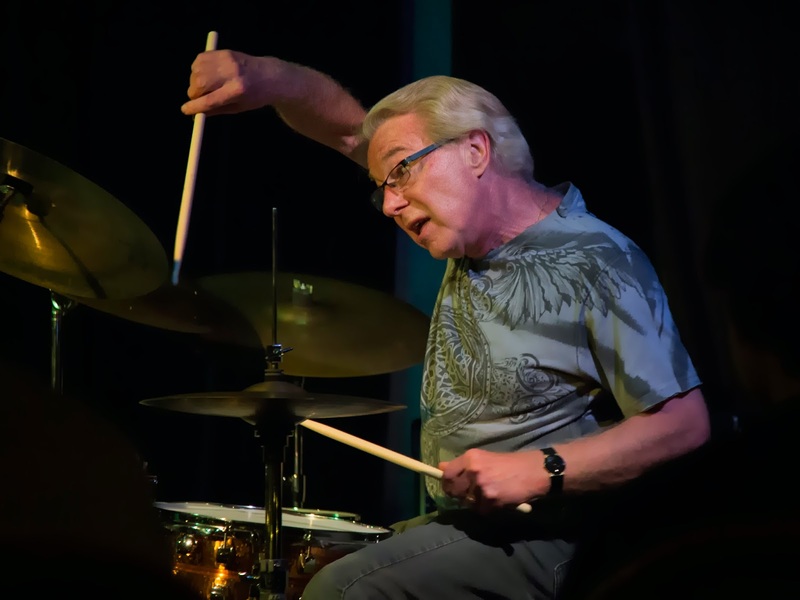 Of course we also hear Dave with a long list of other bands, from Dave Karr's Mulligan Stew to the JazzMN Orchestra, Pete Whitman X-Tet, Salsa Del Soul, Explosion Big Band and more. 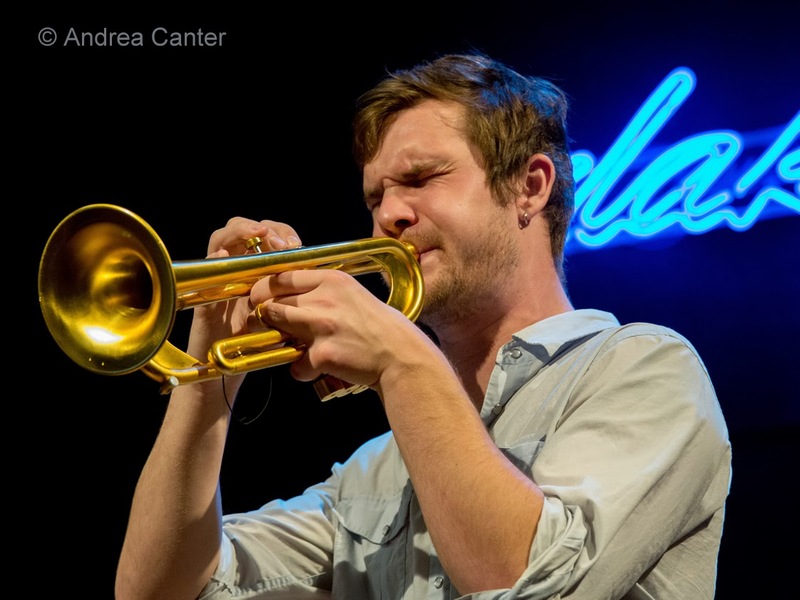 But when Valve Meets Slide, we get to hear the melodic side of the trombone in all its growling glory, as a leading solo voice, as the entire rhythm section coiled into one bad ax. 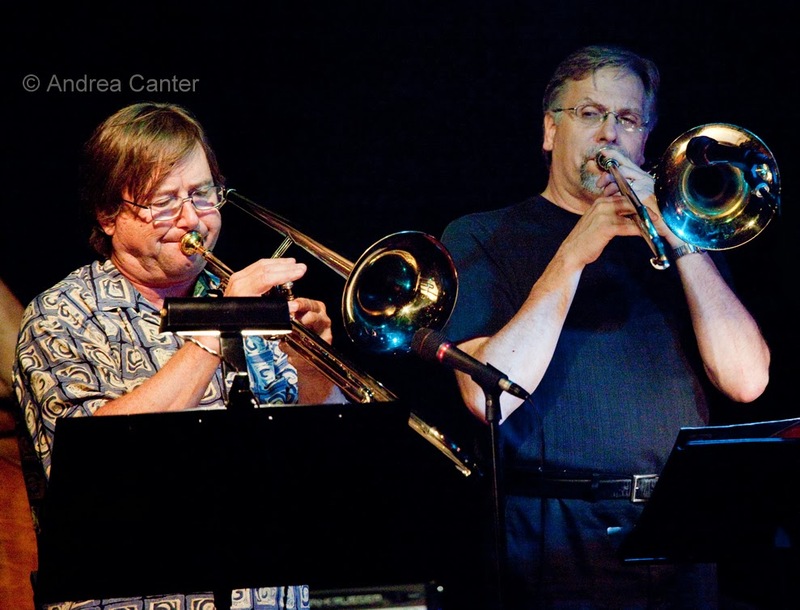 Brad Bellows and Dave Graf, "Valve and Slide"
Starting out back in 2005, appearing at the 2006 Twin Cities Jazz Festival and often over the next few years at the Dakota, the brass quintet Snowblind has more recently found a comfortable "home stage" at the Artists Quarter. 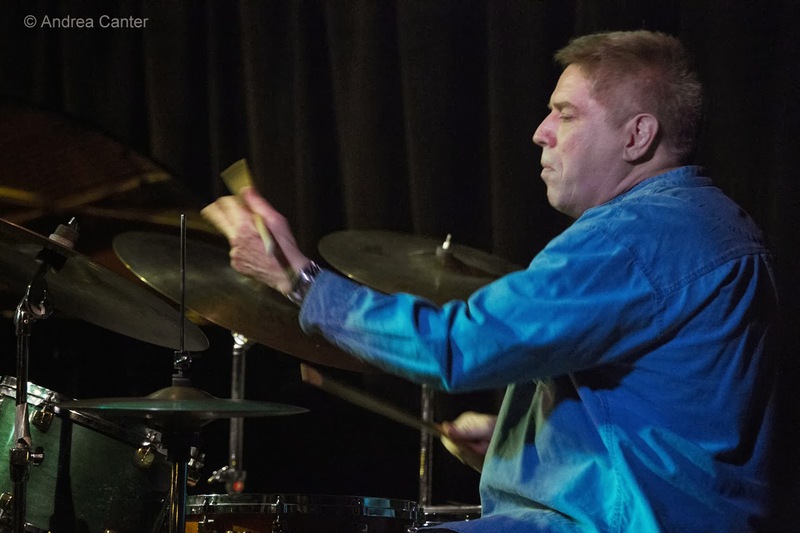 Each of the current members of Snowblind has other affiliations with the AQ: Saxophonist Shilad Sen has played with the Adam Meckler Big Band; both trombonist Scott Agster and trumpeter Adam Rossmiller have been frequent participants in the Pete Whitman X-Tet; drummer Reid Anderson has performed with his own trio; and bassist Graydon Peterson performs often with his own quartet, with Mountain King, and with a long list of pianists, horn players and visiting artists as a first-call sideman. Together as Snowblind, these musicians have developed a rather quirky coherence via original arrangements of such classics as "Night in Tunisia" and a raft of original compositions from each band member, yielding two recordings to date. 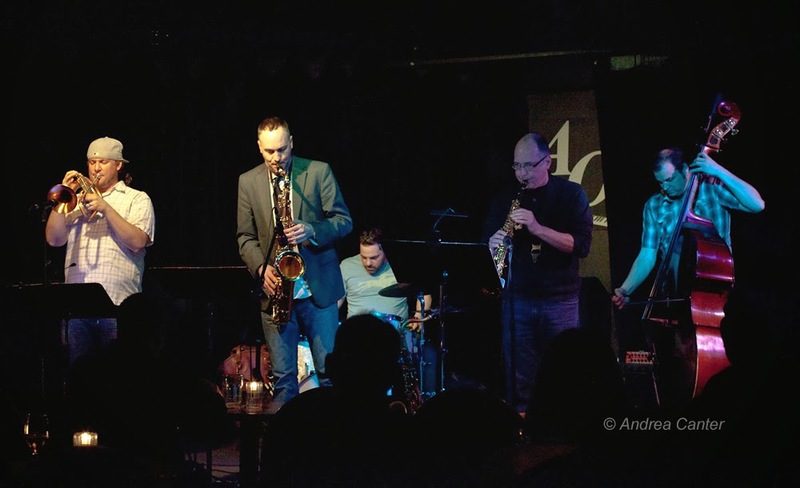 Their AQ finale (December 18th) added yet another voice, the vibes of Dave Hagedorn, as the guys paid homage to the compositions of Dave Holland. Noted Dave's wife Gwen re the his invitation to join this still-young ensemble, "He was really excited, like he had an invitation to join the kids in the sandbox." Says a lot when a veteran like Dave finds such excitement as a guest artist for a new generation band. Whatever the fate of the AQ, we'll surely hear more from Snowblind, and more from each of these individual musicians. Just how can you put a band with ten musicians on the Artists Quarter stage-- along with a Yamaha grand? Easy - just take out the first two rows of tables. And for years, nearly every month (usually the last Thursday), the Pete Whitman X-Tet proved that the AQ had enough room for a large ensemble - and without killing the ears of patrons sitting only a few feet away. 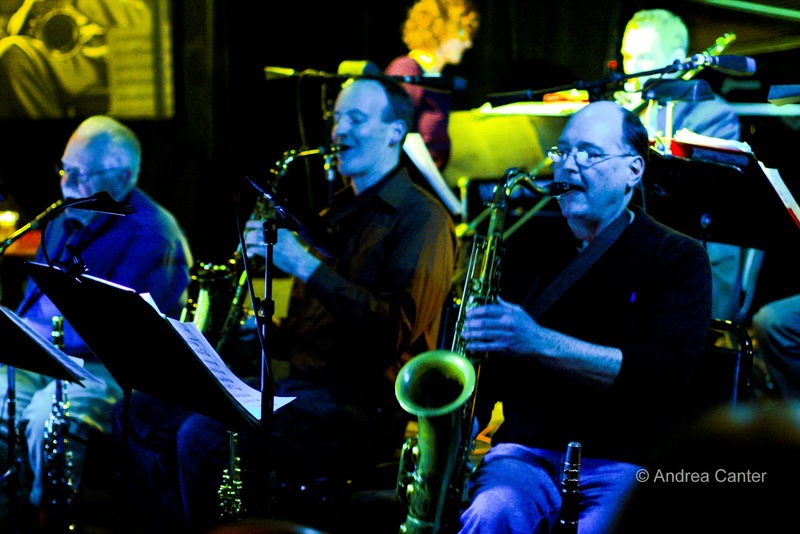 Month after month, we heard fresh arrangements and original compositions from the best "little big band" around, a band that would easily garner raves in the Big Apple, sporting the very best of Twin Cities' musicians and what seemed to be an ideal configuration-- rhythm section, horns, and vibes. Veterans dominated the line-up (Dave Karr, Phil Hey, Laura Caviani, Dave Graf, Dave Hagedorn), which in the last couple years has also included some hot young talents like Adam Meckler and Adam Rossmiller. 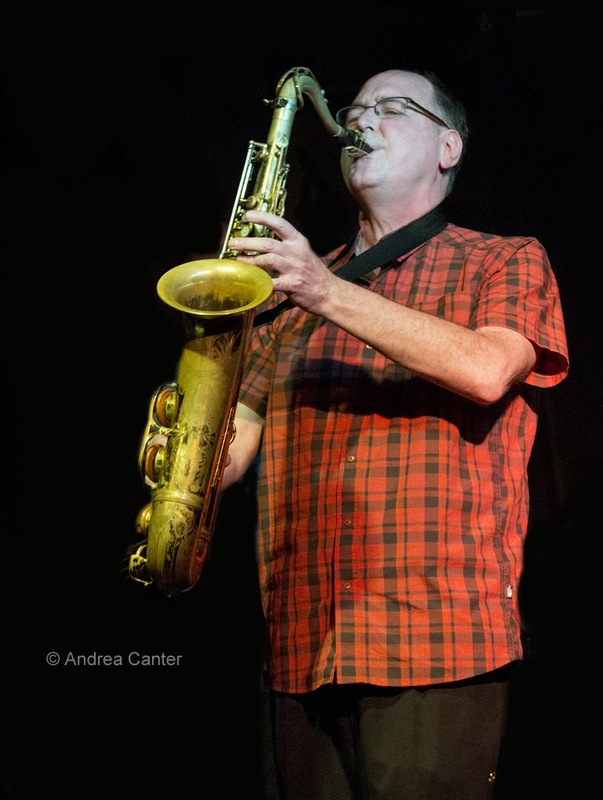 But Pete Whitman is no one-trick saxman. 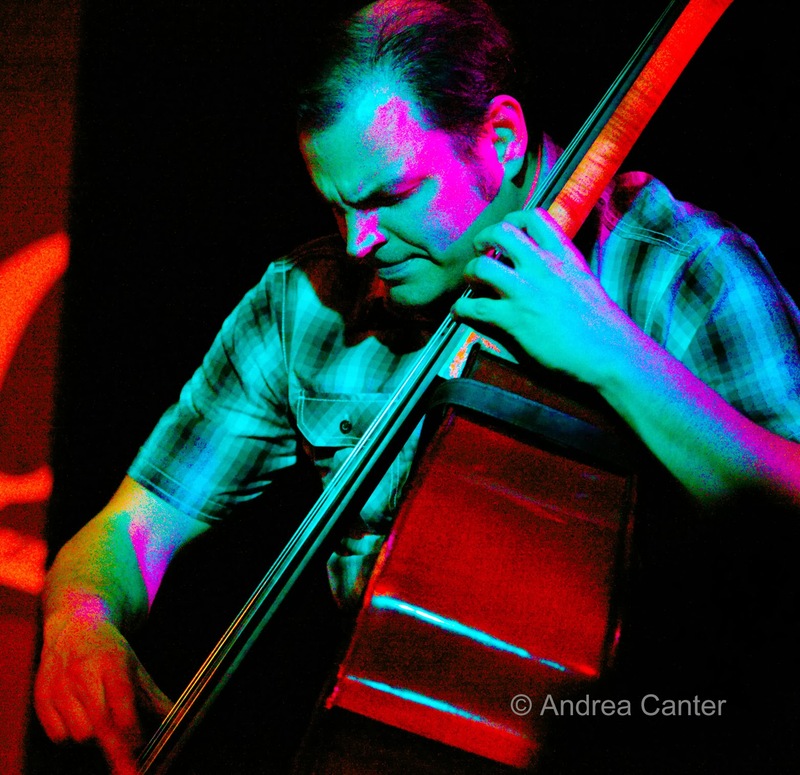 There was his quintet, Departure Point, and most recently a collaborative ensemble dubbed Mississippi that debuted on the AQ stage. 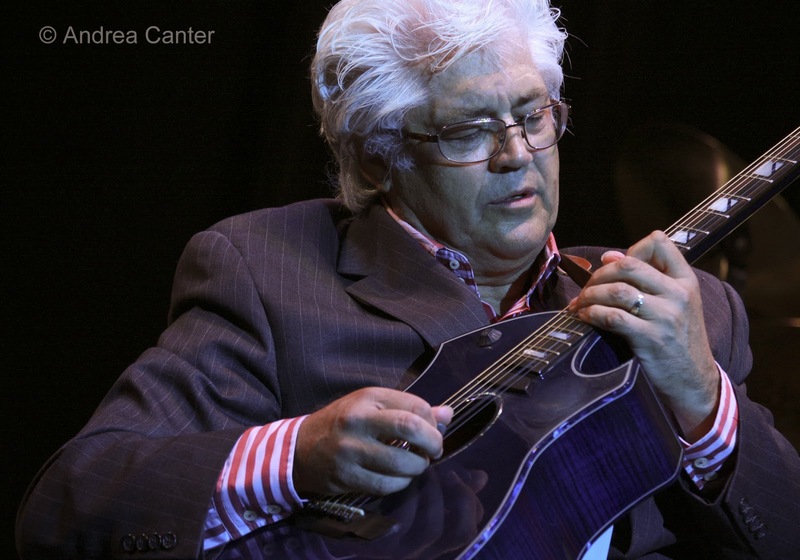 A few years ago, we were privileged to have Peruvian guitairst Andres Prado in our midst, and his gigs at the AQ always featured Pete on sax. And there's Pete's partner, pianist Laura Caviani, who often teams up with Pete to add some more harmonic depth to her small combos. 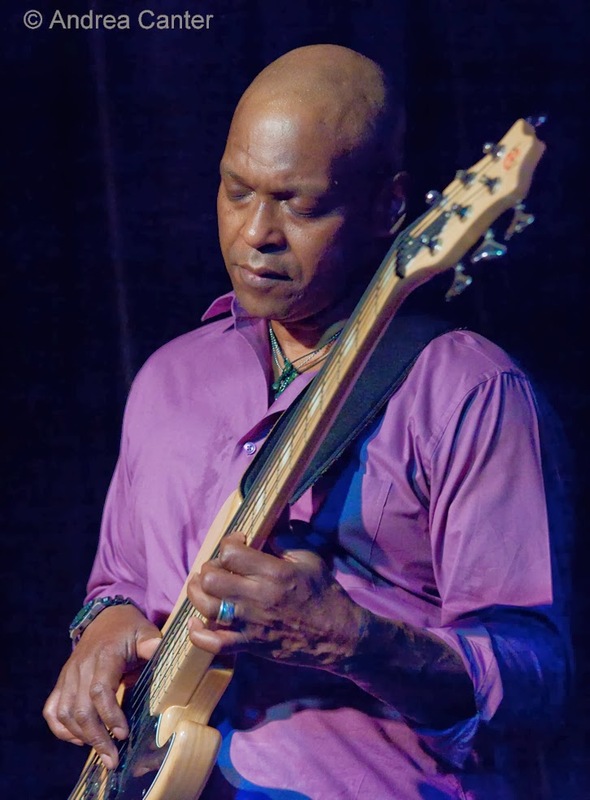 Pete headed AQ tributes to the late Dewey Redman and in the past year or so was often featured on the Tuesday night "And Friends" series. 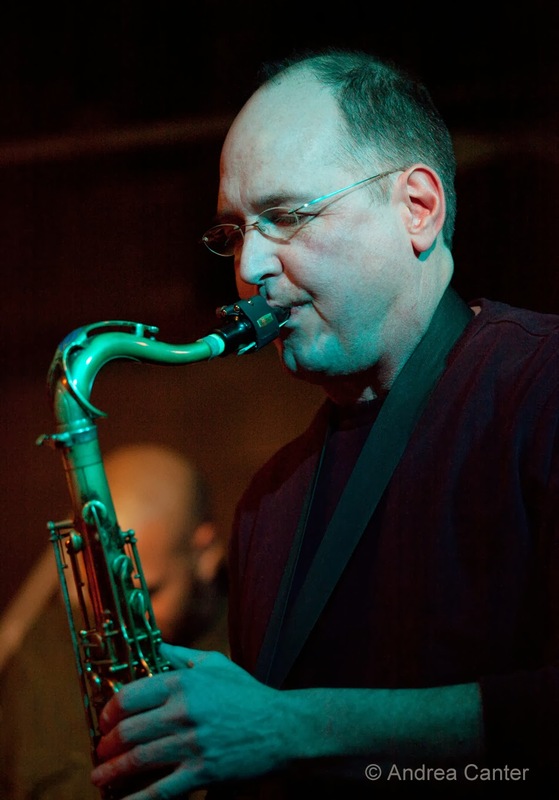 And performing is only part of Pete Whitman, who heads the Brass and Woodwinds department at McNally Smith College of Music. In keeping with the AQ's focus on supporting young musicians, Pete often brought the college edition of the X-Tet into the AQ, along with periodic student/faculty "McNally Smith Venue Nights." Pete Whitman blows a mighty fine horn (and flute), but he also helps ensure the Twin Cities' jazz legacy, on and off the stage. I don't recall when or in what context I first saw drummer Jay Esptein, but I am sure it was at the Artists Quarter. Maybe with Red Planet, or Bill Carrothers or perhaps backing a vocalist. 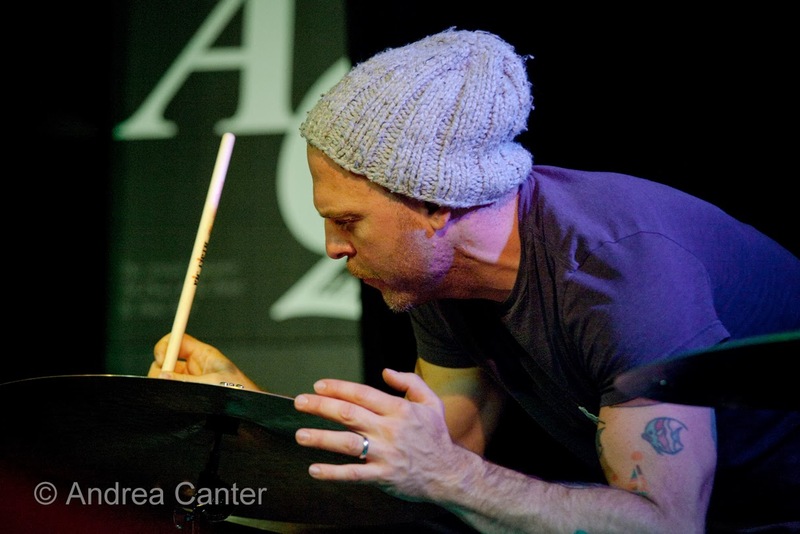 Aside from hearing his talents behind the trapset, I have always enjoyed watching Jay -- arms flailing with a certain symmetry, sticks and often other objects cutting arcs through the air, those sudden jabs at the cymbals that catch you by surprise at just the right moment. At a recent Red Planet gig, it looked like he had raided the kitchen cupboard, finding spoons and egg beaters as more than adequate substitutes for brushes and mallets. One of my favorite Jay-enhanced gigs at the AQ was as part of Bill Carrothers "Armistice 1918" project -- his percussion arsenal included gongs and shakers. A few years later he added percussion to Bryan Nichols' usual quintet in a salute to Keith Jarrett's American Quartets--more shakers, more hand-held objects. Red Planet, the trio with Dean Magraw and Chris Bates, is perhaps the most popular of Jay's ongoing projects, but he's also managed time for Easy Company with Anthony Cox and Bill Carrothers and Framework with Chris Olson and Chris Bates. 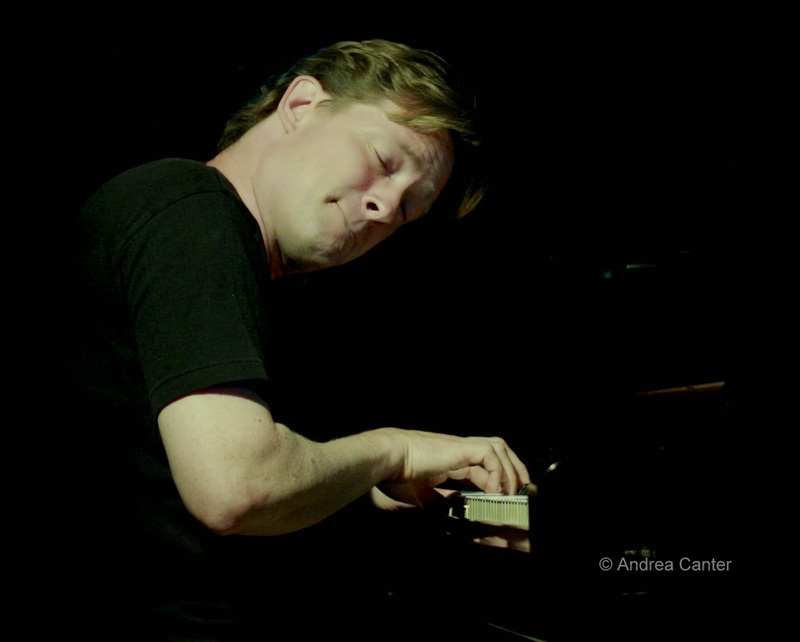 Away from the AQ, he's been heard on tour with Five by Design and with pianist Mary Louise Knutson. But the AQ seems to be his musical home --even on recent nights when he has played in the house band for the adjacent Park Square Theater, Jay heads down to the AQ after the final curtain. Just to hang out and listen. Another face in the crowd -- until he gets behind the trapset. Then he's part of the heartbeat of the AQ. 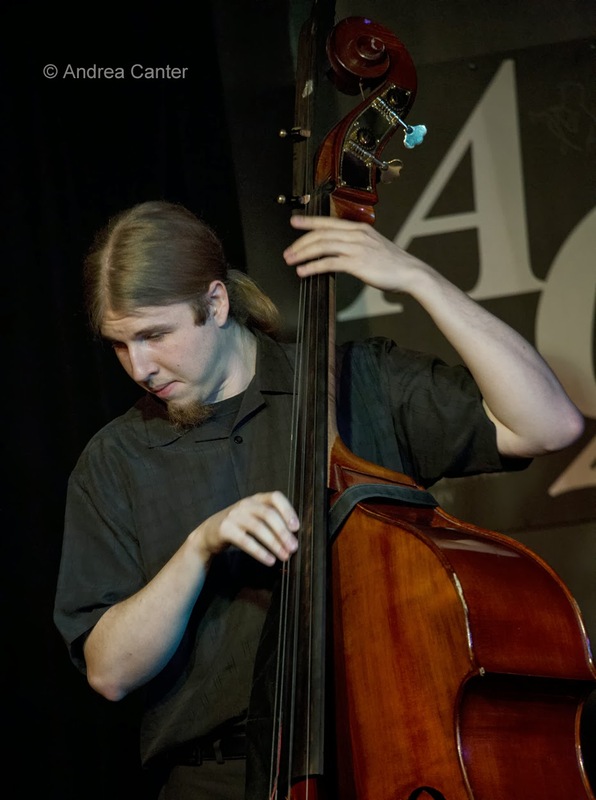 For an Eastman School of Music flute graduate, Gordy Johnson is one heckuva bassist. Just watch the audience when Gordy is on the bandstand -- mostly, folks listen even during the bass solos! 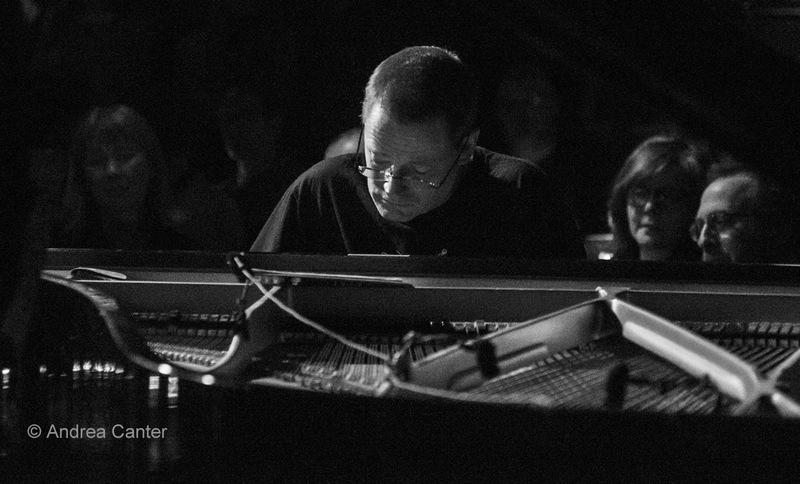 And if you just watch Gordy's face, you know he's hearing every note, every chord, every idea and responding... which is why we see Gordy on the band stand so often, with so many different musicians, from pianists like Laura Caviani and Chris Lomheim to large ensembles like the Pete Whitman X-Tet. But we also see him alone on the bandstand before and between sets, making sure the piano is in tune. He knows every inch, every bolt, every string on the AQ's Yahama. And give or take a key that needs an overhaul, he makes sure that the sounds coming from that piano are the ones the pianist really intends! It's not enough that Gordy is the pulse of the band......if there's a piano, he's the keeper of the sound. From his ears to ours. The Artists Quarter Countdown continues, with two of its long-time favorite national artists joining together this weekend and one of its longest-running local bands closing out the week. Meanwhile the holidays bring heroines of song to concert and club stages, and the annual Bad Plus residency begins at the Dakota. The weather outside might be frightful, but the jazz inside is bountiful. Friday, December 20. Last month, Jazz Central launched a monthly series of Friday night jams led by students dubbed the Young Beasts. 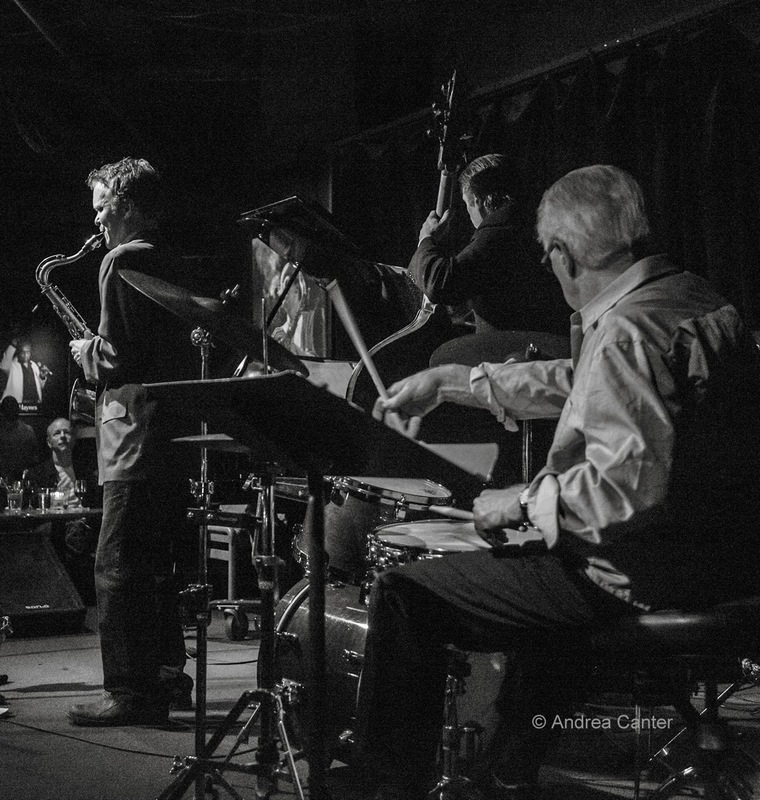 On the stage tonight -- The Farmington Quintessential Quintet; The Eau Claire Ice Bergh Combo; and The Will Kjeer Combo, followed by an open jam. 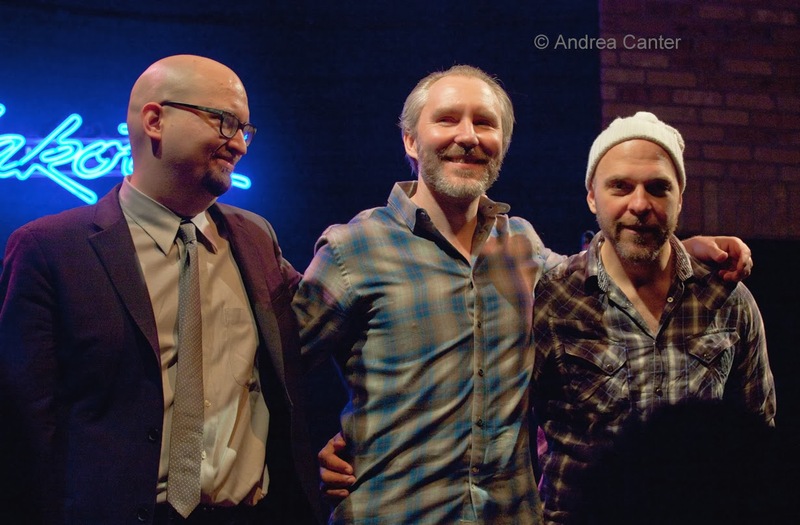 Over in St Paul, guitarist/composer Todd Clouser comes back to town to celebrate his latest recording, The Naked Beat, which does have more of a rock bent than much of his earlier work. 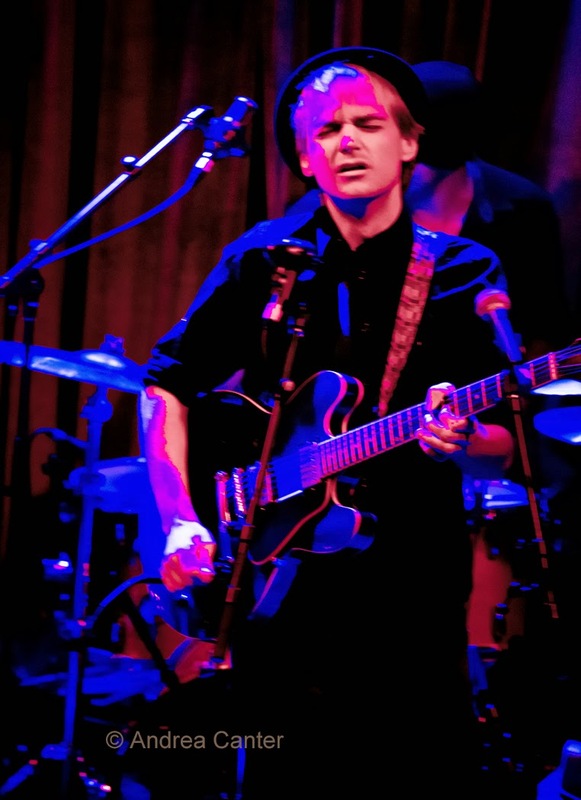 He brings his national touring edition of A Love Electric (bassist Aaron Cruz and drummer Hernan Hecht) to the Amsterdam Bar, part of a rockish triple bill. Friday-Saturday, December 20-21. 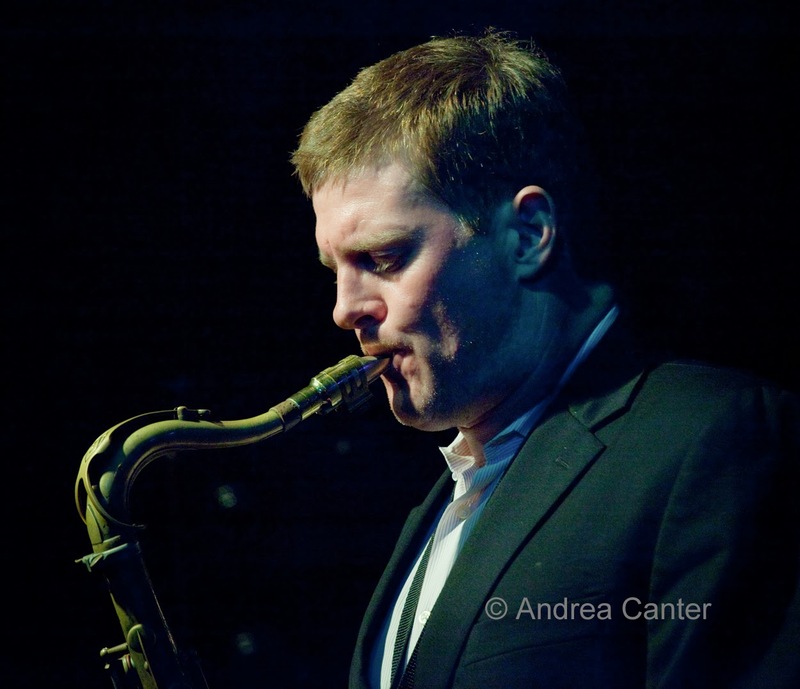 On their own, both Eric Alexander and David Hazeltine are worthy of SRO in any club, and over time they have found strong support for their gigs at the Artists Quarter. But this weekend they perform together as the countdown to the AQ's closing continues as the final note draws ever closer. 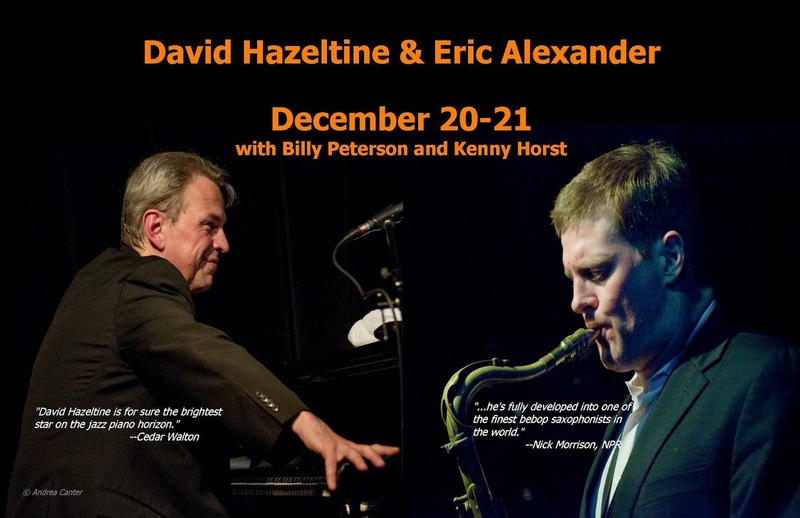 With Billy Peterson and Kenny Horst filling out the rhythm section, tenor sax titan Alexander and piano virtuoso Hazeltine make this one of jazz's top "going out of business" gigs. Saturday, December 21. No one celebrates the holidays with more flair than songbird Maud Hixson. At Bloomington's Schneider Theater, Maude and the Wolverines Trio (Rick Carlson, Steve Pikal and Jendeen Forberg) "Let It Snow" with vintage film clips and carols. Adding to Maud's journey through the holiday songbooks of the 1930-w-50s are rare films from the famed collection of Bob DeFlores. 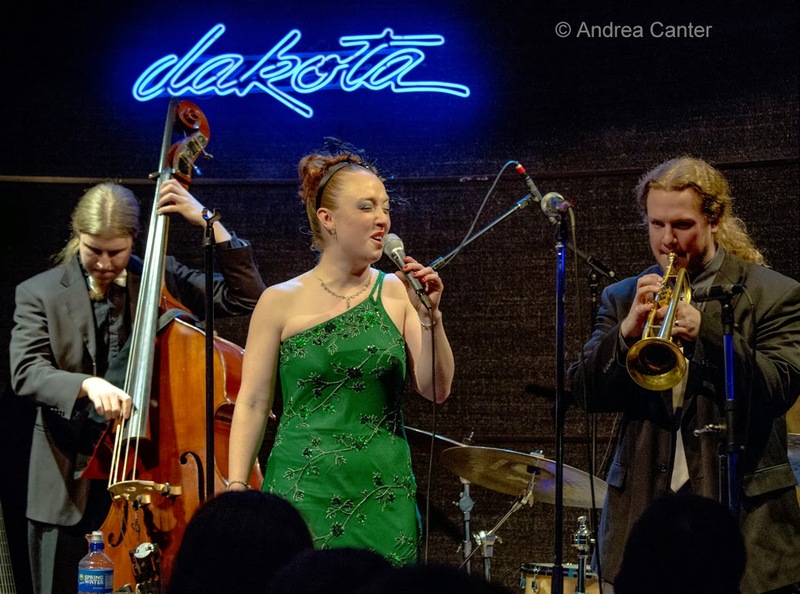 With a family that knows how to hold a holiday party on stage, singer Patty Peterson finds plenty of support from more Petersons and friends for a "Jam Before Christmas" show at the Dakota. Patty will be joined by sister Linda, brothers Ricky and Paul, and nephew Jason DeLaire, along with usual cohorts Billy Franze, Bobby Vandell, Cory Wong and more. Sunday, December 22. A few days after his St Paul celebration of Angels, Kings, My Favorite Things, pianist/vocalist/composer Larry McDonough comes to Minneapolis for a reprise at the Icehouse. The new recording is trademark McDonough, with new compositions and arrangements that highlight quirky time signatures, off-beat harmonies and fine ensemble interplay. Sunday-Monday, December 22-23. Enroute to international acclaim, vocalist/pianist Karrin Allyson stopped in the Twin Cities for a few years to hone her chops. 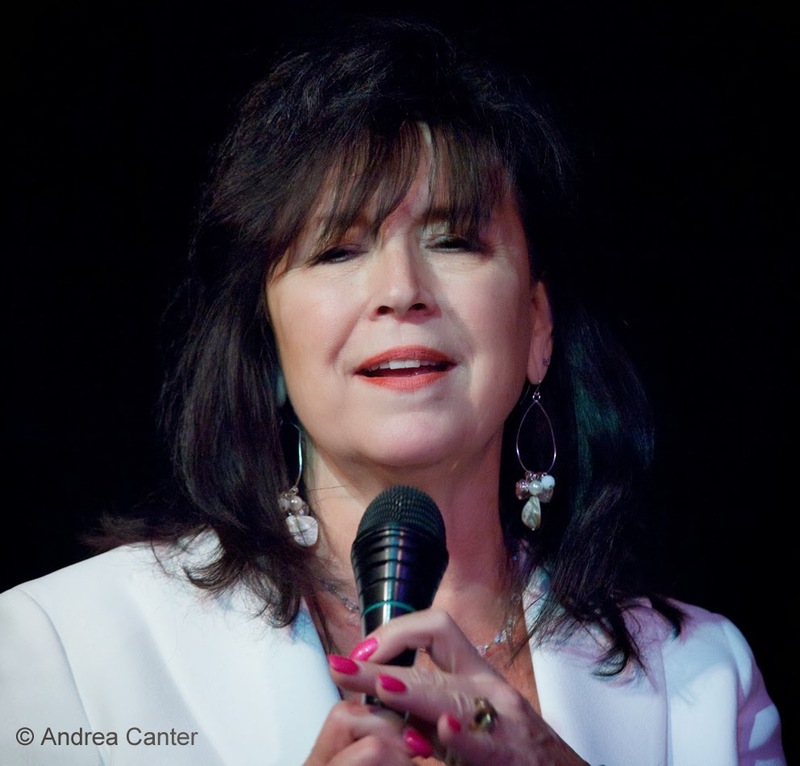 Recently voted Top Rising Star Female Vocalist by Downbeat, the honor seems a bit late given the acclaim from critics for her dozen or so albums and her four Grammy nominations to date. Well, perhaps you are a rising star until you release a holiday album? Karrin is in town at the Dakota to celebrate her new Yuletide Hideaway, which should confirm her rightful place among the "stars." Joining her will be long-time friend Laura Caviani, who will be on the piano bench --except for those songs on which Karrin chooses to accompany herself. Some all-time favorites will be interspersed with original and seldom-heard tunes. Monday, December 23. 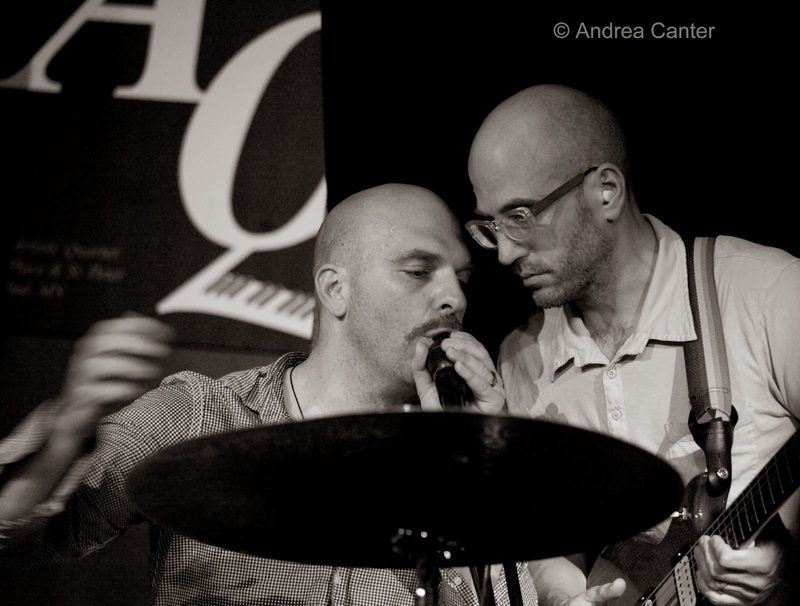 Jazz Central continues its series of interesting artist combinations with "Jake Vs B-3" night. 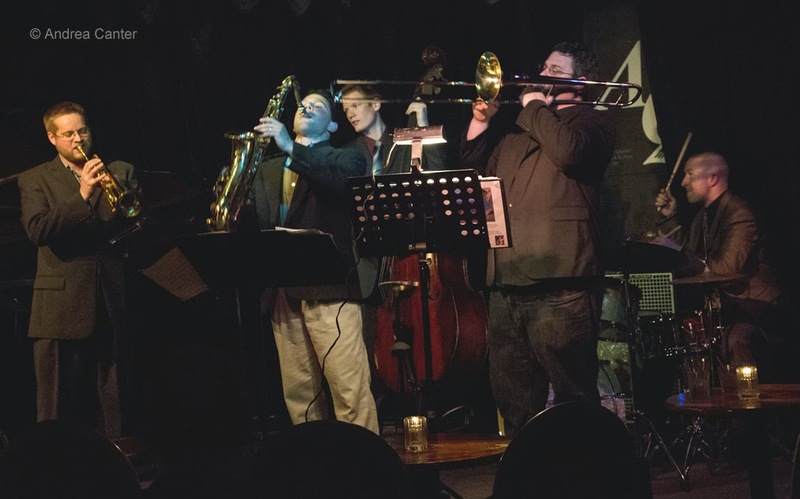 Young trumpeter Jake Baldwin goes head-to-bridge with Tanner Taylor, who tonight shows off his organ chops with some help from drummer Mac Santiago. Meanwhile, the Icehouse as always on Mondays hosts JT's Jazz Implosion, tonight featuring house favorites, Fat Kid Wednesdays with Mike Lewis, Adam Linz and JT himself. If these two venues seem to have competing agendas tonight, remember Jazz Central begins at least an hour earlier..... and they are not that far apart. Thursday, December 26. It's the first night of the Bad Plus residency at the Dakota, with the trio's "usual" nights of mayhem offered Thursday through Saturday. But they will stay around an extra day this visit to reprise their 2012 Rite of Spring next Sunday. 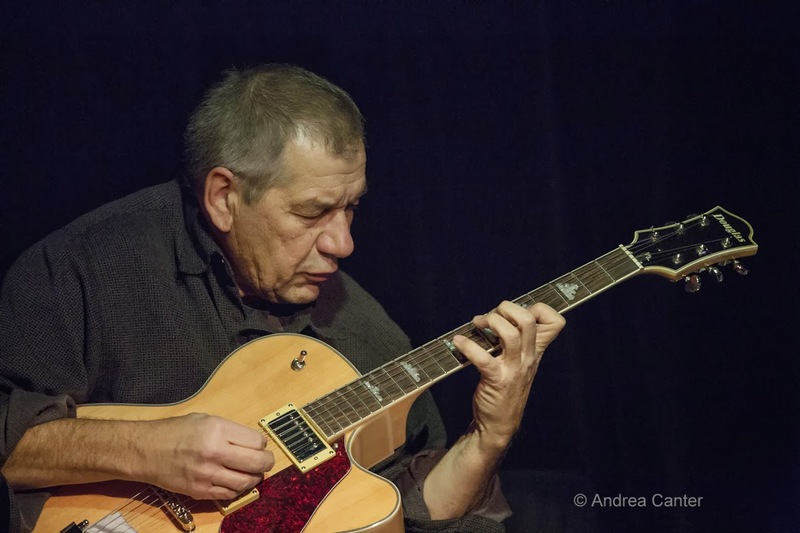 At the Artists Quarter, the Phil Hey Quartet ends a run that began on Jackson Street and continued in the Hamm Building, as they have one last gig at the AQ. For Phil, the November gig was a comeback after illness kept him off the band stand for a couple months this fall, and wow--did he come back! Now it's one more blast for Phil and pals Phil Aaron, Tom Lewis and Dave Hagedorn before the AQ shuts down, and this gig promises to be the most incendiary of the PHQ's long tenure.